My favorite spelt flour is Bob's Red Mill. We do have it in Jordan but I order it many times from iherb. Iherb delivers quickly to Jordan with little postage fees. The price and postage are usually cheaper than the cost in the Mall here. The ratings on Amazon.com are always consistently high and more people buy Bob's than any other brand. Spelt is an ancient grain whose berries can be milled into powder or cooked and eaten whole to obtain the benefits of this nutritious grain. Known for its hard husk that keeps even the most determine insect out, spelt is an ancient grain that was largely cultivated in Egypt. The process of grinding spelt berries into powder was very labor intensive, so when newer grains and wheat were made available spelt became unpopular. Despite this, spelt flour is rising in popularity once again! Spelt has the most fragile gluten genetic make-up out of all the other wheat; this means spelt flour may not rise as high as any other gluten-laden wheat. Though lacking in gluten spelt has many nutrients, such as Protein, fiber, copper, manganese, magnesium, B vitamins 1, 3, and 6 , folate, and phosphorus. Yummy sweet flavor. works well in all recipes i've tried. this is much healthier than traditional white/wheat flour. the gluten content is lower and it doesn't spike blood sugar levels. Every one of the dozens of grains/flours I have tried from Bob's Red Mill has been superb. I am very serious about whole grain baking and consider spelt flour the most useful grain to have in your pantry. I buy it by the case and use it for almost all baking, especially quick breads/muffins and cookies. It has a lovely flavor and texture, not as heavy as regular whole wheat and sweeter. Though it creates a pleasantly flavored, light-textured yeast bread, the crust tends to crack and the bread is soft instead of chewy. Overall, a fantastic product. The price cannot be beat. I did try baking spelt bread in my bread machine and it did not work. I found a no yeast bread spelt bread recipe online and that turned out ok but was very dense. 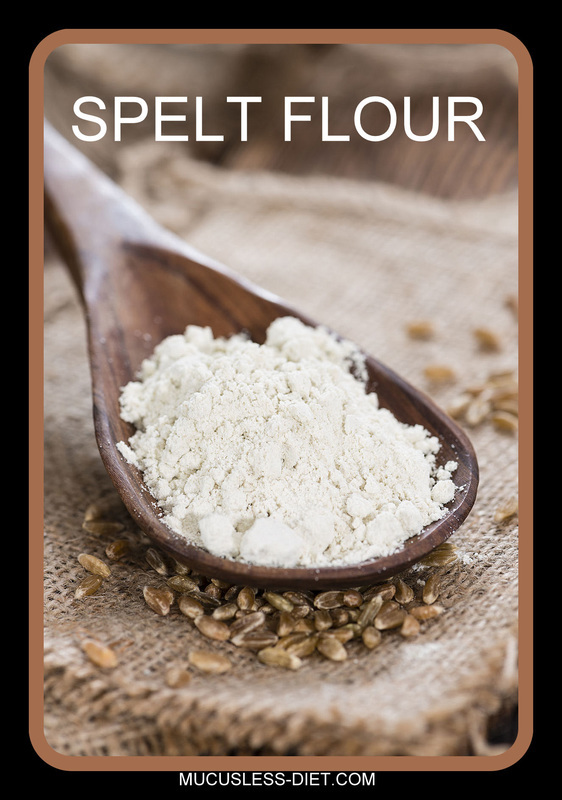 I asked a chef I know about it and she said to use half spelt, have barley flour. That combo turned out great. This makes the best muffins or bread. Has an awesome flavor, taste better than regular flour. You will find it delightful. Take it from a professional chef, this is a truly a terrific product. I replaced all of my regular whole wheat use with this wonderful product, and haven't looked back since. It's far more absorbent and malleable than whole wheat, and you can actually use a greater percentage of spelt flour to white in yeast bread, for a more healthy, flavorful loaf. I get a superior rise, and the end product is more puffy and appealing. I have even had good luck using it to make roux for sauces with very acceptable results. All this, and it's good for you. Bob's is better than generic, and worth a few extra cents. I only wish they sold it in larger bags, though I'm finding the 24 oz. bags becoming more and more user friendly. Good job, Bob's, and good job to Amazon for having it. 've purchased this product now 4 times. If you haven't tried Spelt flour, you're missing out, and Bob's is the best! This is such an incredibly versatile, more water-soluble gluten, regular flour-alternative. Bob's comes in a 4-pack box, sealed well, and great quality. I use it for many things, especially my homemade pizza crust. Spelt doesn't rise the same as regular flour, but it also lacks the I-just-ate-a-lead-brick punch that whole wheat flour has.